After along van ride from Manila, we went to our first stop, Vinzons. We all know the town to be the jump off point for Calaguas (the boracay of twenty years ago and will have a separate article soon). 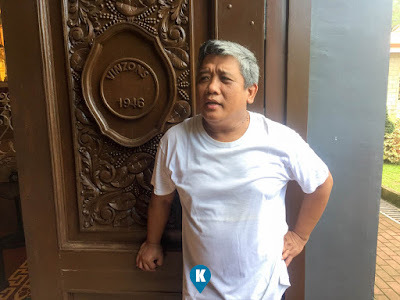 Now we were wondering what else could be in Vinzons. 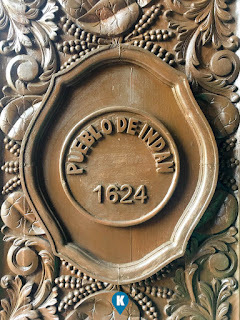 Here we were greeted with a great arch at the entrance of a heritage Church, the Parroquia De San Pedro Apostol. Lo and behold, our faith brought us to this four centuries old church in the heart of town. Established in 1581 by the Franciscan Missionaries as Reduccion de Tacboan, a small christian community emerged. 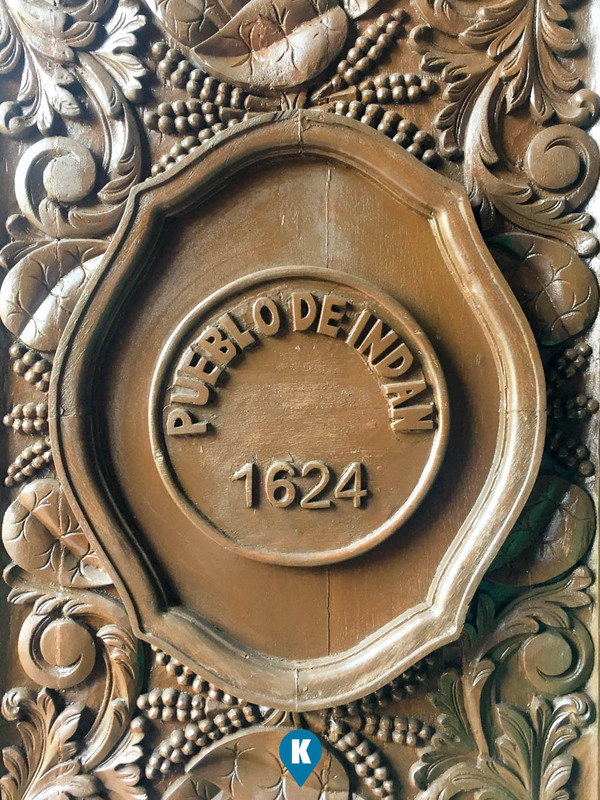 With the growth over the years, it transformed to as Pueblo de Indan (based on the Hamindang leaves which were abundant at that time and this adorns the church doors). In 1611 the church was made into a parish with Frey Juan de Lozar, OFm as its first parish priest. 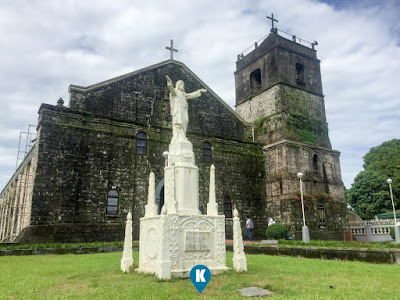 It was only 1946 that they named the town Vinzons. To remember the great man in Wenceslao Vinzons. In 2011 it celebrated its 400 years of christianity in the region so you might say this is truly a heritage church. 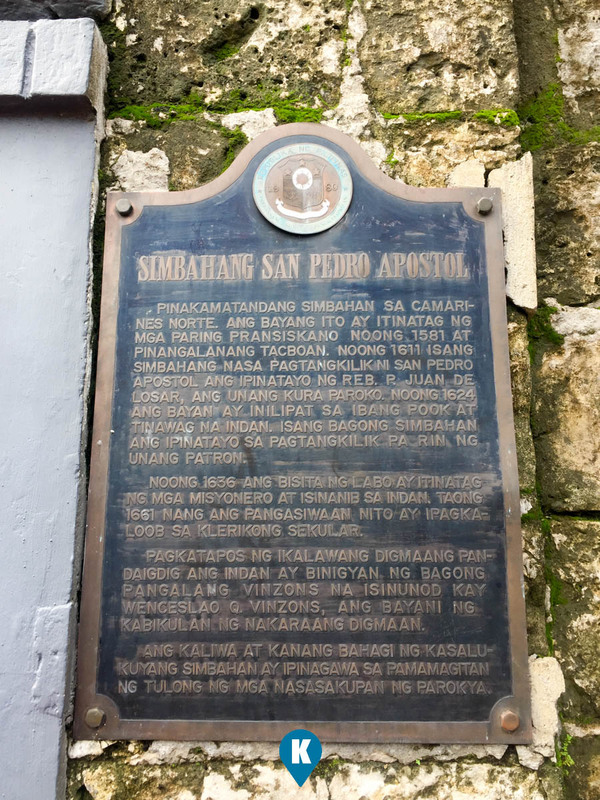 When the church was burned down in December of 2012 (only the walls remained), they full restored the same and sought the help of the historical commission. With the efforts of the community, restoration work was finished in 2015. Now the church stands proudly showcasing the religiousness of the community. 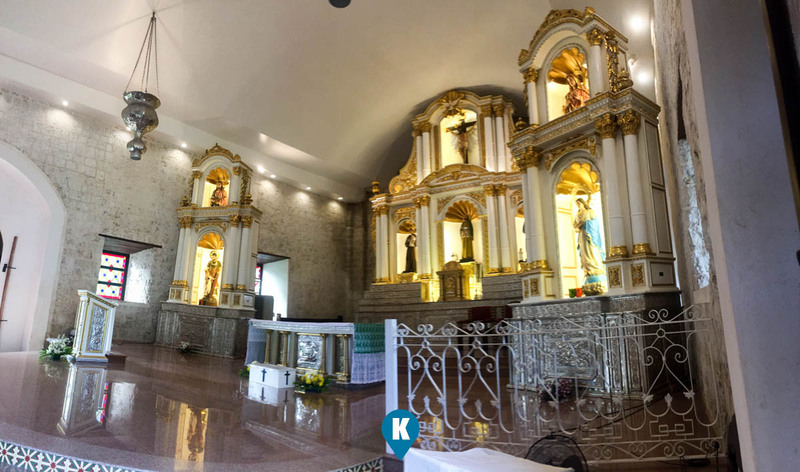 Nowadays, anyone can visit this church and you will be awed by its new splendor. 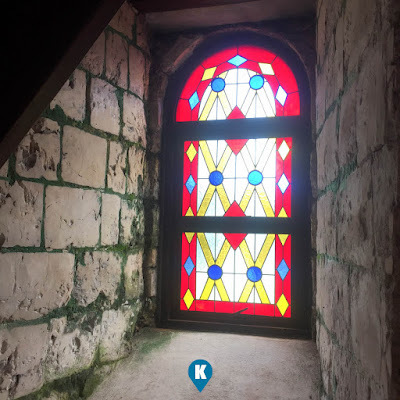 Italian granite adorns its sanctuary area, its doors adorned with intricate carvings showing the Hamindang 'Indang leaves", the stained glass windows faithfully crafted to the destroyed originals, the remaining coral stones of the church walls leave you breathless. 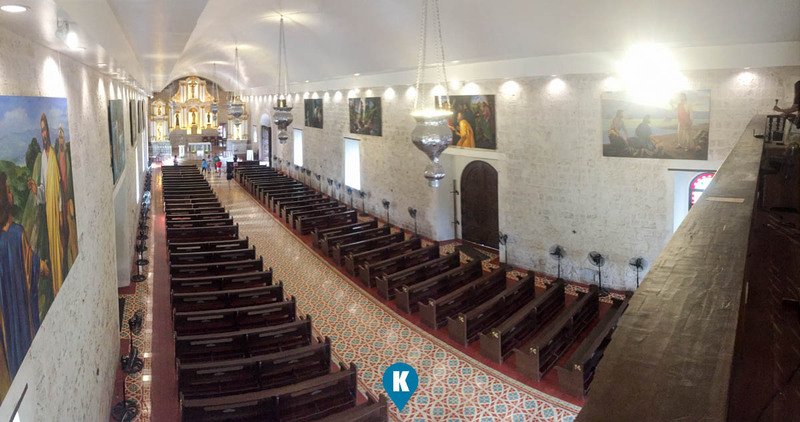 The church was serene and quiet when we arrived and pristine in cleanliness. Fr. Toti Angeles, the current parish priest made sure of that the church be clean at all times. Not only the insides are clean including the courtyard had manicured lawns adding more to its grandeur. 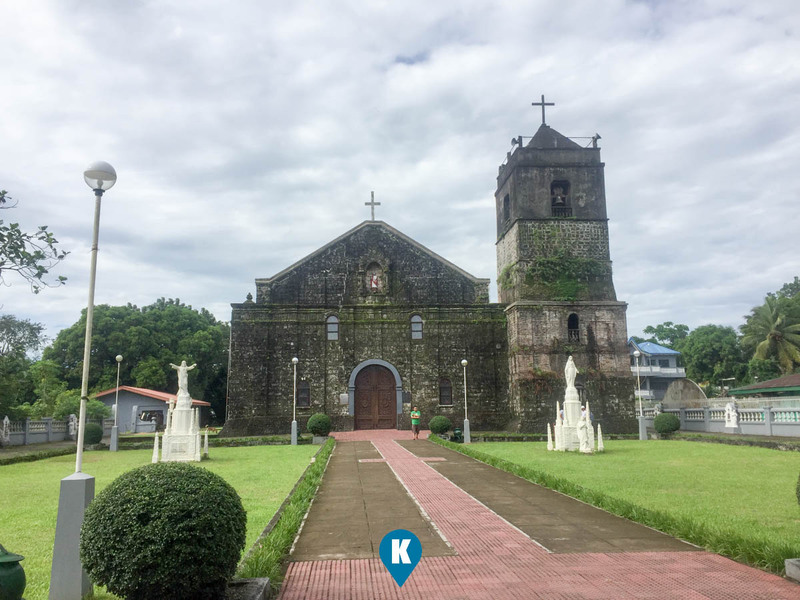 I know your trip here is for Vinzons, but if you've got the time, its a worth while trip to pass by this heritage church. It has withstood the test of time, along with our faith, this place will surely prevail the next century. We would like to thank the Parish Priest Fr. 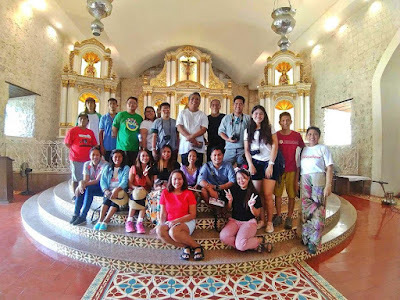 Toti Angeles for accommodating our makulit group and giving us an unabridged version of the Church's history. It was a truly delightful experience and made us appreciate the heritage church much more than just a tourist attraction. Should you come to Vinzons, take the Philtranco, DLTB and Super Lines to Daet, Camarines Norte. Fare should be roughly Php500++ then take a jeep to Vinzons. Will take about half an hour to reach the town, being so close to Daet. 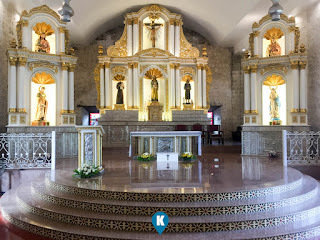 For more questions about Vinzons, please contact the Camarines Norte Tourism Office here.